In 1995, God began to speak to a young leader in Hyderabad, India named Satish Kumar, telling him that he would have a very large church, but nothing materialized for the next 10 years. In 2005, he planted Calvary Temple, starting with 25 members. Now, in 2015, he has more than 130,000 members, adding 60,000 in the last three years alone. On my recent trip to India, my 23<sup>rd in 23 years, I had the pleasure of spending several hours with Pastor Satish, whom I had met before only in 1995. I also had the privilege of bringing a short address to his congregation during two of their five Sunday services. What are some of the keys to this church's supernatural growth? The congregation always put a strong emphasis on prayer and fasting, but when they were about to embark on their building project, Pastor Satish called for 40 days of prayer and fasting, with believers fasting and joining together in corporate prayer as much as they were able to. The problem was that he called for this during the rainy season, a time when it is unbearably hot and unbearably wet. Yet night after night crowds of thousands gathered on the empty property to join together for hours, sitting with their umbrellas up as Satish preached in the pouring rain (without an umbrella). It made for quite a sight. When they came to the end of the 40-day period, he called for another 40 days of prayer and fasting, and when that ended, he called for 40 days more — so, 120 consecutive days of corporate prayer and fasting. It was then that he received the word to build the entire facility in 52 days. The building miracle and the church growth miracle are directly related to prayer and fasting. And he does not mince words, calling out sin, calling for repentance, and pointing to the cross. His goal in all his messages is that Jesus be exalted. He also gives a 30-minute teaching to 1,200 key church workers before one of the late afternoon services. 3. Caring for the flock. If they miss a service, they receive a phone call the next day from a staff member, asking them if they're OK and if they need prayer for anything. While this may seem overbearing for many Christians in the West, it is very meaningful to the Indian believers. But there's more: Every member of the church has a birthday cake delivered to their door on their birthday, meaning that the church is hand-delivering as many as 4,000 birthday cakes a day. As Satish told me, many of his people are so poor that not even their own families celebrate their birthdays, and so when the cake arrives, they are in tears. 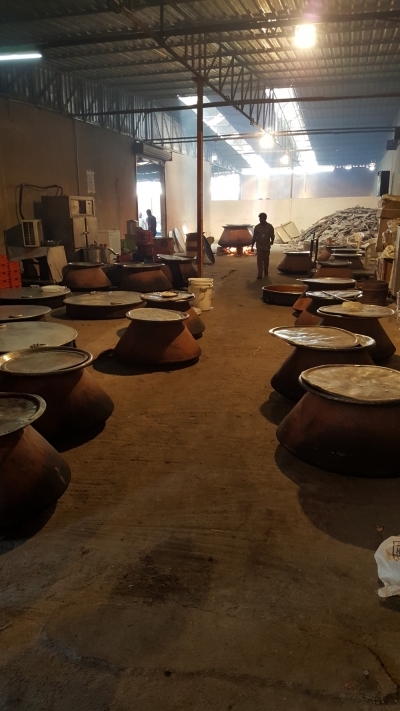 Calvary Temple also cooks about 10,000 meals every Sunday for poor members (check out the size of the kettles in the photo to the left) as well as providing medical prescriptions at 50% off to their congregants. These are just some of the things that mark their care for their flock. Without being on the actual grounds to see for yourself, it's very difficult to understand how impossible it was to build their facility in 52 days. The air conditioning alone was supposed to take 90 days to install, and because of problems with building permits, most of the work had to be done at night, under lights. But Pastor Satish had been reading Nehemiah during the 120 days of prayer and fasting, and when he read that the walls of Jerusalem were built in 52 days, he took this as a word from the Lord and announced to his congregation that they would do the same. And they did! When you see what God has done so far — and the real hunger of the people to receive from the Lord — it's easy to believe for much, much more. When I sat in Satish's office, I noticed that he had two small flags on his desk, the flag of India and the flag of Israel. And the operative word at Calvary Temple is "shalom." That's how everyone is greeted when they swipe their membership card upon entering the building. Is it any coincidence that Pastor Sandor Nemeth of Faith Church in Budapest, Hungary, the largest megachurch in Europe, told me that he attributes much of the church's supernatural growth and influence to its deep connection to Israel? Or that Robert Morris, pastor of Gateway Church in Grapevine, Texas, one of America's fastest growing churches and the most giving church in the nation (donating more than one million dollars a month to missions) has stated that the key to their supernatural success is that they give the firstfruits of their income to Israel-related ministry? 6. A strong work ethic. Yet what struck me while we were together was that he did not seemed burned out in the least, even seeming relaxed as we talked. And his family members I met seemed excited and blessed as well. I'm quite aware that we can easily become ministry workaholics and that there is a lot of pastoral burnout in America. I'm simply observing what I saw, and, as I noted, it is not uncommon for Indian leaders to serve sacrificially. 7. Wise use of media. 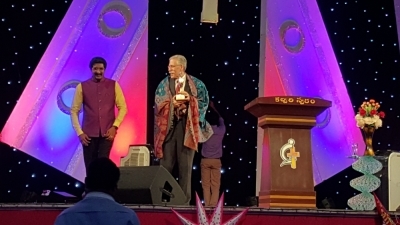 Through no effort or planning of his own, Pastor Satish's messages began to be broadcast on TV, and as he found more and more sponsors to support his show, the broadcasts began to increase. Today, his messages air on 300 different programs each month, in several Indian languages. This results in more than 5,000 new visitors each week, many of whom become committed church members. 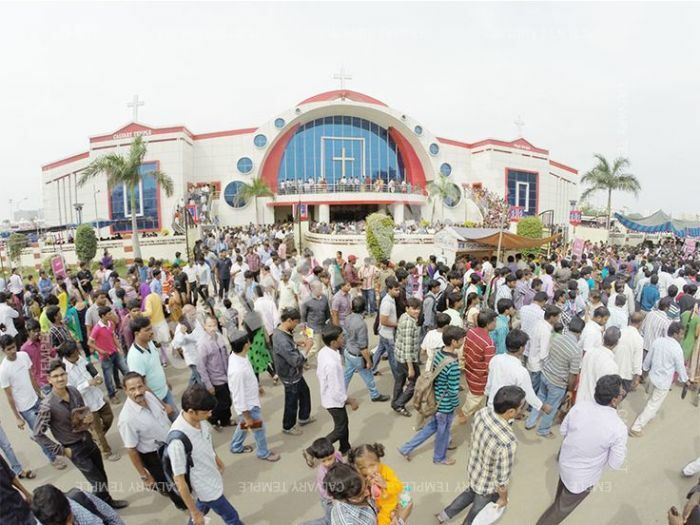 First, it really is time for God's favor on India, and despite the strongly pro-Hindu government, the church is growing all over the nation. What has been happening behind the scenes for years is becoming more and more public. Second, hearing these testimonies encourages our faith. Jesus is building His church and the gates of hell cannot prevail against it. Third, in these days of church growth fads, where leaders are looking for the latest gimmick or technique to bring in the crowds, it's refreshing to see that prayer, fasting, solid preaching, caring for the flock, exercising faith, standing with Israel, working hard, and using media wisely can produce such extraordinary results. May the harvest in India continue to increase and abound until the Church of India becomes a blessing to the nations of the world — and to the lost sheep of the house of Israel as well.